Another order received this month for an SM482 Flexible mounter. Despite the negative press about Stay/Leave we are still seeing some encouraging signs of continual growth and investment. With the governament "Annual Investment Allowance" being set at £200'000.00 in this tax year, companies are still making use of this facility while it's in place. 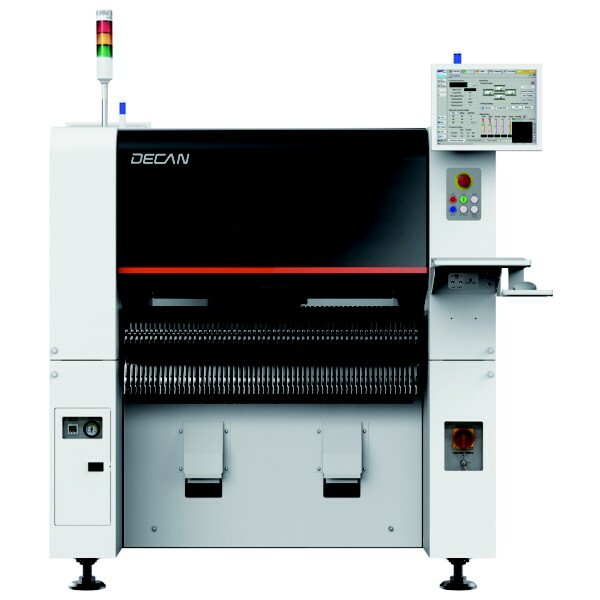 Order received this week for a Hanwha Techwin SM482 Flexible Pick & Place machine. This model is particularly useful and covers a wide range of components from 01005 up to 75mm long connectors and 0.3mm lead pitch devices. The SM482 has many options to help with production efficience such as the SMART feeder which takes small strips, intelligent feeders for lot tracking, docking carts for quick job change and side tray feeders which hold 20 trays without losing any feeder positions nor PCB width. The SM482 is the most popular Hanwha/Samsung Pick& Place Machine in the UK.